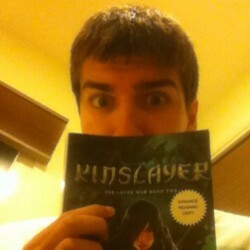 Reality Boy - A.S. King - Scott Reads It! Thank you to LB for providing me with an advanced copy in exchange for a honest review. 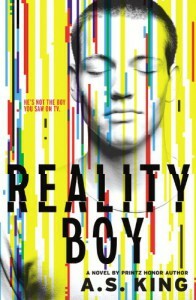 Reality Boy is an extremely important story that accurately shows how fake "reality tv" can really be and how demeaning reality tv can be. How much of reality tv is real? Are we inhumane for being entertained by watching peoples' lives crumble into pieces? In this age of photoshop and Jersey Shore, it's becoming even harder to distinguish between reality and fantasy, how much of what we view is true and genuine? Gerald is a protagonist that was hard to relate to for most of the novel; he used to excrete feces all over the house to anger family members. In addition, to his "feces" problem, Gerald has also bitten peoples' faces in his life. I understand why Gerald is so messed up, but I really feel like Gerald should have risen above his situation much earlier than he did. We are not our parents, we are not our siblings, each person is their own individual and so, I think Gerald shouldn't have let his family get to him so much. You can't really justify excreting into someone's shoes, no matter how messed up you are. It's just nasty and dehumanizing to the point where I felt Gerald was better than that. How can I relate to someone nicknamed "The Crapper"? Even if there were similarities between Gerald and I, his issues overshadowed any mutual traits we share. To read more of my review, check out Scott Reads It!